What Are the Child Support Laws In Maine? Maine family law attorneys help you with child custody, child support, property division, maintenance and other domestic relations.In every Maine divorce, legal separation, annulment or paternity case involving children, the Maine family law court steps in to determine whether one parent owes the other child support to assist in the financial expenses associated with child-rearing. Additionally, before couples with children may even be granted a divorce, in most cases involving children under the age of 19, Maine will require both parents to take a “parenting class” designed to help parents and children deal with the trauma of divorce. This class is also offered online, such as the Children In Between course offered by the Center for Divorce Education. Other customary expenses which the parents expressly include. Maine’s “Schedule of Basic Child Support Obligations” sets this amount; parents are responsible for determining how many of their child’s expenses should be included in this category. *This should be delineated beforehand in the “Separation Agreement and Parenting Plan”. In Maine, a parent with physical custody is called the “possessory conservator,” and the child resides with that parent. Physical custody means possession, and applies to the parent who doesn’t live with the child/ren year-round. In most cases, child support amounts are based on each of the parents’ income and the amount of time they spend with the child. The parent with physical, but non-conservatory custody is generally defined as the parent who spends less than 50% of the time with the child/ren on a yearly basis (or less than 182 days), and this parent will usually have to pay child support to the other “possessory conservator” parent to cover expenses he or she encounters while the child is under their supervision. This is the person who spends a greater percentage of time with the child/ren, and thus is assumed to be the household paying on behalf of the child in most circumstances. For purposes of the Maine child support guideline, “income” is defined as actual gross income of the parent, if employed to full capacity on an hourly basis that makes them a “full-time employee”, or potential income, if unemployed, a part-time employee, or underemployed. However, the definition of income has many exceptions and aberrations, and it’s important to understand what, as a non-custodial parent, you may be responsible for. The paying parent’s duty to pay child support ordinarily lasts until the child turns 19, or until the month following high school graduation, whichever arrives later.If you receive disability money based on your past employment, it is considered income for purposes of child support. If you are a non-custodial parent and receive SSDI (Social Security Disability Insurance), it will be counted as income in determining how much child support is owed. 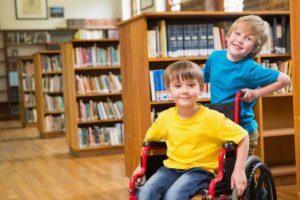 To apply for SSDI derivative benefits for a child, you can contact the Social Security Administration Office.